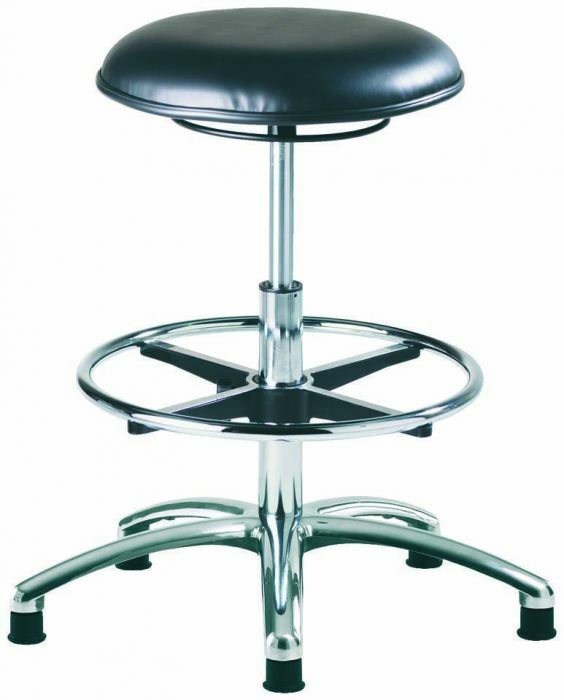 Mid height stools that are sterile and static safe with a medical grade vinyl seat and a carbon filament for electrical continuity. Manufactured in the UK and available in 10 -15 days from order. 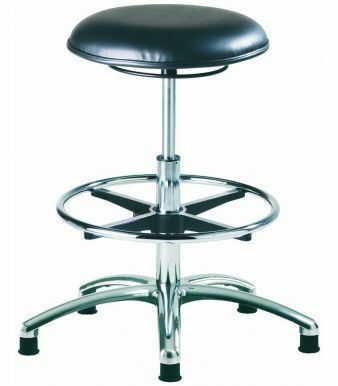 Medium rise height adjustable stool is suitable for sterile environments. 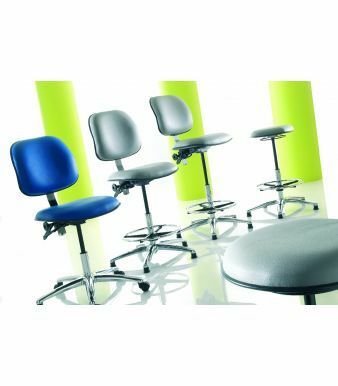 Choose from medical grade, wipe clean vinyl. 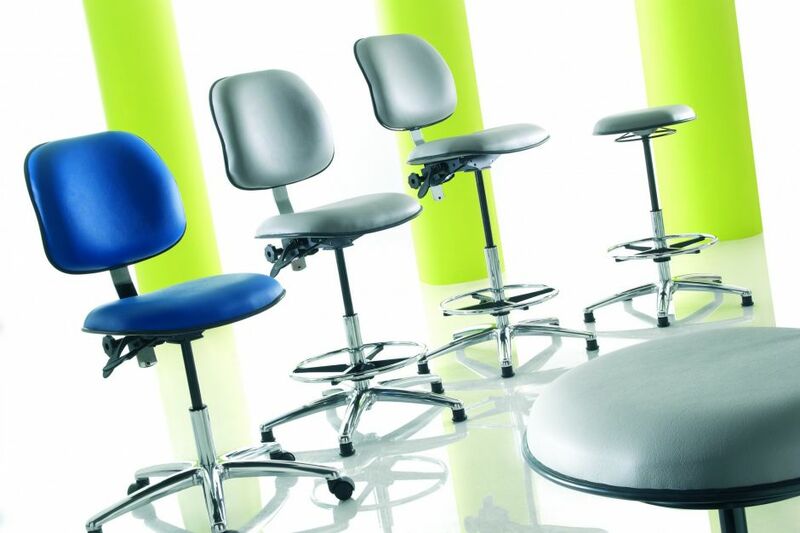 Manufactured in the UK and designed for a wide range of commercial and industrial applications. Five-year factory guarantee.